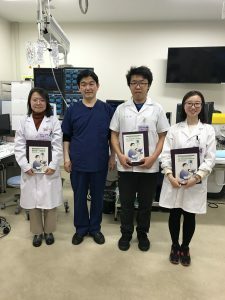 Dr. Zhao is a very motivated medical student. She can speak English quite well and she asked many questions. 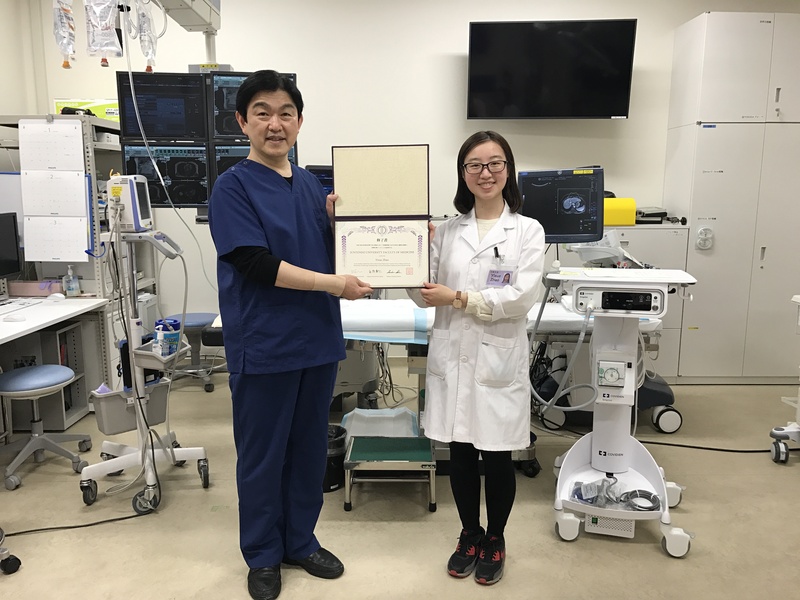 She also worked hard to gain new knowledge about interventional oncology. We enjoyed working with her. We hope she will come back to Juntendo to study minimally invasive therapies. 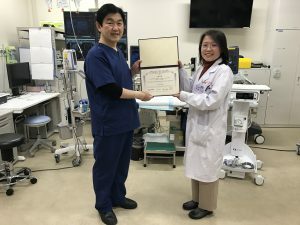 If she studies at Juntendo, she would be an international leader in the field of interventional oncology. Dr. Wang is a very bright medical student. She is pleasant to work with and she can speak Japanese quite well. She has a wide range of knowledge in liver diseases and minimally invasive therapies. I am sorry that her stay was only two weeks. 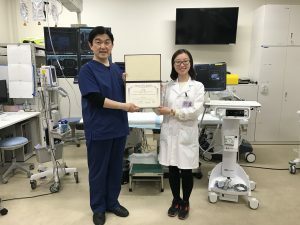 I hope she will come back to Japan again to study ablation. 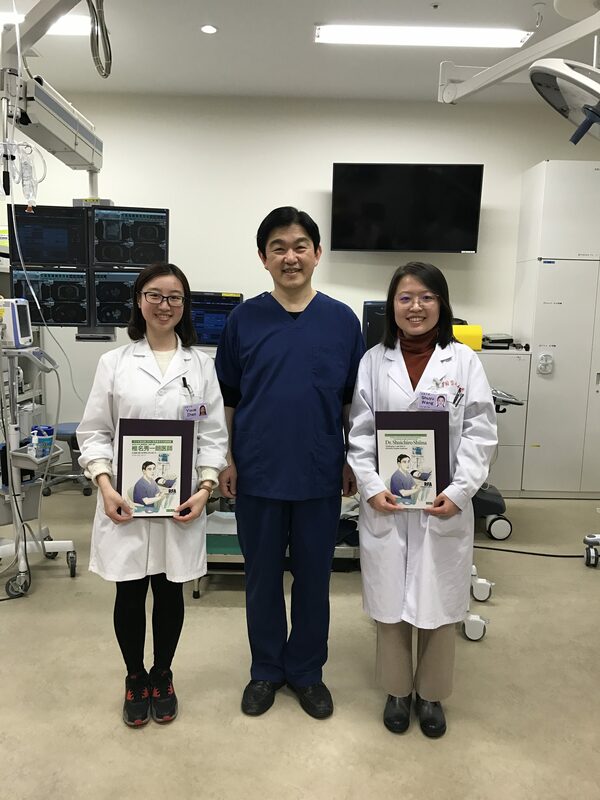 If she studies at Juntendo, she would be a leading doctor in China in the field of interventional oncology. Dr. Hsu is a bright young man. He has a lot of knowledge about liver cancer and minimally invasive therapies. He created a very favorable impression during his stay at Juntendo. We are sorry that he stayed only two weeks. I hope he will come back to Japan in the near future to study ablation. 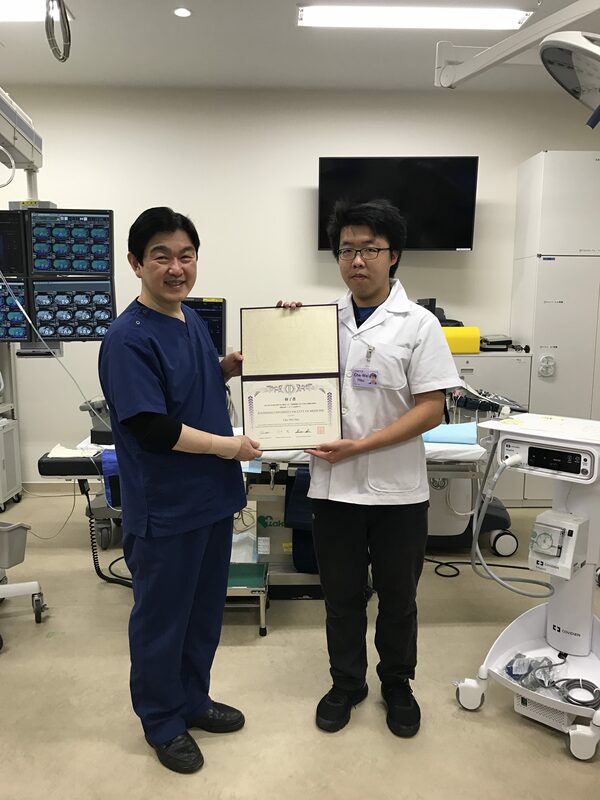 If he studies at Juntendo he would be a leading doctor in radiofrequency ablation and microwave ablation in Taiwan.